The Sealant Technologies division of W. L. Gore & Associates is the world’s leading manufacturer of ePTFE-based gasketing products. Each product is engineered to be the best-performing gasket solution in its class. New and improved products are introduced by Gore on a regular basis — many of which are sold through outside distributors. 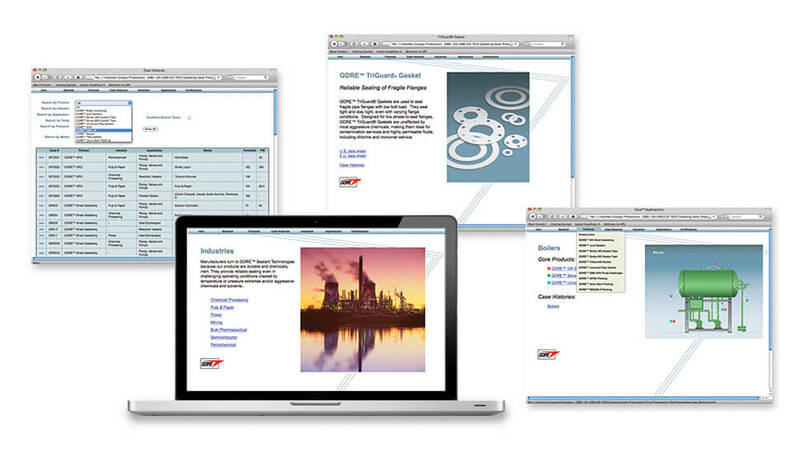 In order to convey the superior value of new or enhanced products, we created interactive sales presentations that allow Gore to “tell the story” of its gaskets in a consistent manner while giving distributors a flexible way to present substantial supporting material. We also developed a powerful interactive sales tool for Gore sales and technical personnel to present products, technology, customer case histories and a wealth of other information through a simple browser-like functionality — a complete arsenal of resources on a thumb drive or right on their laptop. It’s a great way to help the salespeople do their jobs more effectively and drive more product sales.